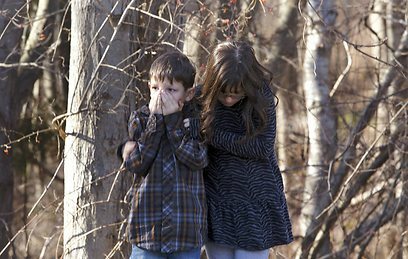 Twenty schoolchildren were slaughtered by a heavily armed gunman who opened fire at a suburban elementary school in Connecticut on Friday, ultimately killing at least 27 people including himself in the one of the worst mass shootings in US history. The shooting, a murderous rampage by a 20-year old gunman, took place at the Sandy Hook Elementary School in Newtown, about 60 miles northeast of New York City. Sandy Hook Elementary School has some 620 students, ages 4-11. All Newtown schools were placed under lockdown after the shooting, as were schools in nearing towns, the Newtown Public School District said. 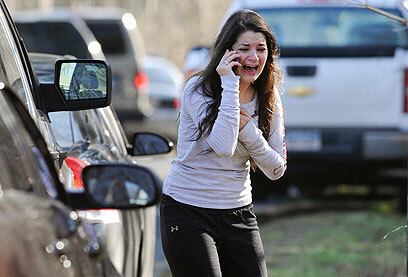 According to Newtown officials, 18 children were found dead at the school and two others died in hospital. One person was injured in the attack and is said to be in stable condition. Authorities said that the shooter was identified as 20-year-old Adam Lanza and that he was found dead inside the school, from an apparent self-inflicted gunshot to the head. He was reportedly armed with four weapons and wearing a bullet-proof vest. Two 9mm handguns, a Glock and a Sig Sauer, as well as a .223-caliber rifle, were recovered from the scene. Officials said that over 100 rounds were fired inside the school. A law enforcement official said that Lanza's older brother, Ryan, is still be being questioned but is not in custody and is not believed to have any connection to the school shooting. He described him as being "extremely cooperative." Lanza's mother, Nancy, was a teacher in the school and was killed in the assault. School principal Dawn Hochsprung, 47, was killed in the incident as well. The shooting shocked the small, tranquil community, in one of the wealthiest counties in the US, in the early hours of Friday morning. Connecticut State Police received the first 911 call at 9:41 am and immediately dispatched SWAT units, police and emergency personnel to the area. In the aftermath, the children were led out of the school by their teachers. They were instructed to cover their eyes, to avoid the horrific site. President Barack Obama was notified of the shooting around 10:30 am by his counterterrorism and homeland security adviser, John Brennan, White House Press Secretary Jay Carney said. He spoke with FBI Director Robert Mueller and Connecticut Governor Dannel Malloy and pledged federal resources as needed. A tearful Obama held a press conference several hours later and expressed "overwhelming grief" over the tragedy. He called on Americans to set aside politics and "take meaningful action" to prevent more tragedies of this kind. "Our hearts are broken today," Obama said, his voice breaking at times during a brief but emotional comments to reporters. He said the nation had been "through this too many times" and has to come together to take meaningful action, "regardless of the politics." The president also ordered all US flags at the White House, public buildings, grounds and military facilities be flown at half-mast in the wake of the tragedy. The European Union sent a message of condolences to Obama over the incident, expressing Brussels' "shock" and "horror." "I want to express my shock after the tragic shooting at a school in Connecticut today," Foreign Policy Chief Catherine Ashton said in a statement. "I think of the victims, their families and the American people at this difficult time," she added. "It is with deep shock and horror that I learned of the tragic shooting in Connecticut," European Commission Chief José Manuel Barroso said. "On behalf of the European Commission and myself, I express my sincere condolences to the families of the victims of this terrible tragedy," he said. 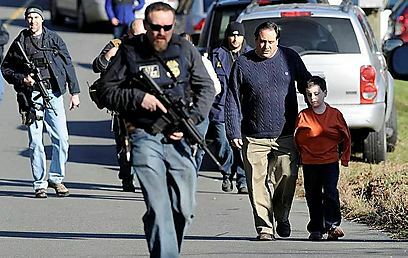 See all talkbacks "20 schoolchildren, 8 others dead in Connecticut massacre "